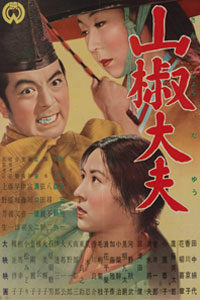 Sansho the Bailiff (Sansho dayu, 1954) comes from an ancient folktale about a family separated and sold into slavery in eleventh century Japan. The film’s director, Kenji Mizoguchi, approaches the material in distinctly Japanese methods, creating a harmonious purity in its themes, style, and aesthetics. The picture was released alongside a series of post-World War II titles the director infused with historical parallels—including The Life of Oharu (1952) and Ugetsu (1953)—each critical of the enduring social and moral injustices those in power inflict onto those without it. Above all, Mizoguchi explored the oppression and subjugation of women, using a historical framework to address contemporary realities. His films are at once sweeping political indictments and deeply personal studies of emotion, anguish, and tragedy in the face of dogged traditions and cruel authorities. He differs from other Japanese masters of this era, such as the more grandiose Akira Kurosawa or the transcendental Yasujiro Ozu, as his use of narrative and aesthetics derive heavily from Japanese spiritualism and history, as well as the country’s Noh and Kabuki Theater styles, thus bringing nationalism, traditionalism, and refined artistry to the screen directly from established cultural sources. And though he made many masterpieces in this technique, Sansho the Bailiff holds the distinction of being perhaps the saddest story ever put to film. The tale of “Sansho the Bailiff” has been told since the fourteenth century, appearing first as a Buddhist homily and then later as plays in the kabuki and bunraku styles. The story changes in various ways to fit the overriding ideology of the times; though, in each case, the familial bonds of its central characters, two children dislocated by political exile and later enslaved, represent the human attachments that transcend all else. As a work of jidaigeki, the film is a period piece set during Japan’s Edo age. Jidaigeki spotlights pre-modern characters in Japanese history, commonly depicting governments or institutions of power alongside other period-specific characters such as merchants, farmers, and samurai. In the modern era, poet and author Mori Ogai retold the story in a popular 1915 version that appeared in many Japanese textbooks, where Mizoguchi undoubtedly discovered it. But where Ogai had used the ancient tale to make connections between history and contemporary morals in an effort to recoup traditional values, Mizoguchi, adapting the story in a postwar era, used it for more complicated reasons: He demonstrated how the grief and defeat felt by most postwar Japanese could be communal by dwelling on their shared traditions; however, his film also considers how Japanese traditions contain sad realities that a postwar culture must divorce in order to survive. Mizoguchi’s traditionalism is perhaps why he was not as popular with young Japanese filmmakers or audiences as, say, Kurosawa. Neither Mizoguchi’s use of imagery nor his stories applied, at least not on the surface, to modern concerns. Kurosawa, however, flowed with ease between specifically modern stories called gendaigeki and traditional jidaigeki, between films like High and Low (1963) and Seven Samurai (1954). 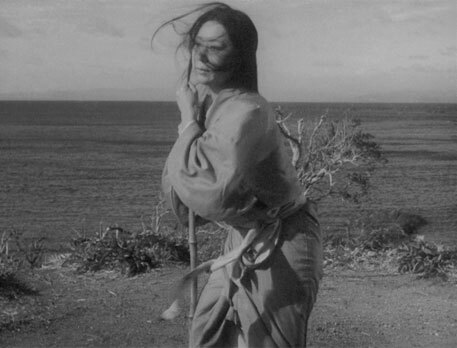 After WWII, most directors used the damaged Japanese landscape as material for postwar commentary, whereas Mizoguchi held fast to historical fiction. He dabbled in contemporary narratives—Osaka Elegy and Sisters of the Gion, both in 1936—prior to the war, unlike most. But only bold filmmakers such as Kurosawa, Kobayashi, and, of course, Mizoguchi, saw the potential for jidaigeki in the post-WWII climate. During the postwar Occupation of Japan, filmmakers were forced to submit their work to a censorship board. Period films could be infused with subtle, thus a more penetrative social commentary that many censors did not notice. 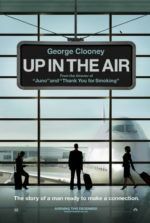 Such films often showed that amalgamating the past into modern conflicts would smooth periods of societal and political transition. 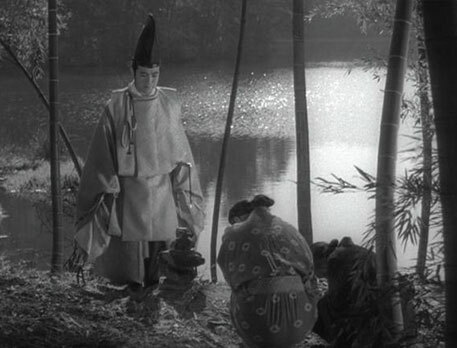 Mizoguchi’s adaptation of the “Sansho the Bailiff” folktale follows a family after its head is removed. The family’s father, a governor, is exiled after attempting to be civil and promote human rights amid a heartless bureaucracy. The governor has long told his children adages such as, “All men are born equal in the world and have a right to happiness” and “A man is not a human being without mercy”—and he gives his children a small heirloom of a Bodhisattva deity bearing these inscriptions. The governor’s wife, Tamaki (Kinuyo Tanaka), along with their young son and daughter Zushio and Anju, must take to the road where lodgers are forbidden to eventually meet with their exiled husband and father. Guided by loyal servant Ubatake (Chieko Naniwa), they make camp one night in a grove; there, they meet a local priestess who offers them shelter and a safer journey by boat. But the priestess has betrayed them to pirates who kill Ubatake, sell Tamaki into prostitution, and deliver the children to Sansho (Eitaro Shindo), a ruthless tax collector who keeps slaves on a massive labor compound. As Tamaki falls into disparaging madness after her children are taken from her, the children find themselves subjected to Sansho’s cruel camp. Not even Sansho’s son, Taro (Akitake Kono), can stand working in his father’s camp after hearing the unhappy tale of Zushio and Anju, and he soon leaves to become a Buddhist monk. After ten years, the children mature and grow apart, separated by their stations and the surrounding landscape. Having lost any hope of escape or being reunited with his family, Zushio (Yoshiaki Hanayagi) has become one of Sansho’s enforcers. One day, Anju (Kyoko Kagawa) hears a new slavegirl singing a solemn tune, “Anju… Zushio… How I long for you. Isn’t life torture.” When Anju asks where she heard that song, the girl explains a prostitute named Nakagimi sung it on the island of Sado. Indeed, Tamaki has been renamed Nakagimi and serves as a courtesan. But upon trying to escape, her tendons were cut. She has since cried out onto the wind of the sea, wailing her sad song of mourning and ache for her missing children. Zushio remains unconvinced by the slavegirl’s story and continues work for Sansho. His latest task: carry Anju’s dying friend Namiji (Kimiko Tachibana) into the forest to die. Anju is allowed to accompany him. And while out there, they hear their mother’s song carried on the wind. All at once, they plan to escape, but Anju insists Zushio go ahead alone, explaining that someone must distract the guards. After her brother escapes, Anju, fearing her torture from Sansho and faced with despair, steps peacefully into a pond where she disappears. Meanwhile, Zushio has the good fortune of arriving at Taro’s temple, where authorities see his family heirloom and realize his noble blood. The premier of Tokyo hears Zushio’s sad story and, after explaining that Zushio’s father has since died, promotes Zushio to the governor of Tango, the very province of Sansho’s private compound. Following his father’s lessons about mercy, Zushio banishes slavery, though he has no legal right to take such action. He tells the former slaves that if they continue to work for Sansho, they will be paid. The slaves respond by burning Sansho’s compound to the ground. In the aftermath, Zushio learns from the former slaves that his sister Anju committed suicide. He resigns his governorship to avoid the same legal reprisals as his father and resolves to look for his mother on Sado. After hearing stories about Nakagimi’s death, Zushio finds an old woman, Tamaki, singing a woeful song. At first, she does not believe it is her son. But after seeing their family heirloom and learning of her husband and daughter’s deaths, she and Zushio embrace for the first time since their exile. Versions of the story throughout history proved far less merciful on Zushio and Anju. In historical retellings, the children were branded, and Anju was tortured to death by Sansho. Ogai’s more optimistic, certainly less humanist version of the story ended with Zushio and Tamaki resuming their privileged lives as aristocrats. Moreover, Ogai’s story does not treat slavery as a human injustice brought down through violence and oppression; it is merely a factor that separates members of the family. Ogai, who studied German and Scandinavian folklore, treats Zushio and his mother like characters in a fairy tale such as Hansel and Gretel—characters who must traverse the harsh landscape to get home and live happily ever after. Ogai fills his story with the structure of myths, including fateful talismans kept by each of the family members and a dream sequence that suggests, quite indirectly, the horrors slavery inflicts upon children. 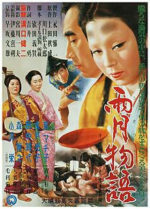 Ogai’s version of “Sansho the Bailiff” represented the graphic dismantling of a family as a fantasy, and that was the version most Japanese audiences were familiar with upon the release of Mizoguchi’s film, which treated the material as a real-life event, albeit with mystical qualities, with dire consequences on human beings. 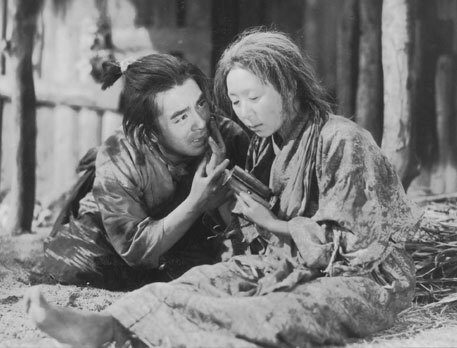 Mizoguchi’s film version considers personhood in the face of the dehumanizing system of slavery, excising Ogai’s more lighthearted and fantastical touches, including any hope for happiness from the story’s bitter end. Mizoguchi worked alongside his writers Fuji Yahiro and Yoshikata Yoda to develop the story into a melodrama of classes, wherein those in power abuse their subjects on the pretense of their authority. What’s more, Mizoguchi’s treatment does not engage in idealistic narrative flourishes; rather, he reveals the opportunism and cruelty of people. The story begins with Zushio and Anju’s father exiled for his humanist ideas—the notion that “A man is not a human being without mercy.” Mizoguchi seems to ask, What kind of cruel world punishes someone for being merciful? But the unjustness of the world is not merely against bureaucratic powers. The film opens with an intertitle that explains that the story takes place during an era when people had “not yet opened their eyes to other men as human beings.” Note how Sansho’s freed slaves do not do as Zushio’s decree suggests, and continue to work for pay; they destroy their former prison in an uprising. Instead of romanticizing the tale and filling his audience with optimism, he suggests that the children’s lives remain ruined; but in a more sweeping commentary, he censures a prevailing lack of mercy and empathy among people. Mizoguchi’s film admonishes Japan’s once prevalent unjust slavery system, of course, but he develops the legend into a melodrama about individuals’ emotions. He originally wanted the film to concentrate on the horrors of slavery as the central theme. But Daiei Studios wanted Zushio and Anju’s story arcs to lead the viewer down an affecting pathway; and so, the director constructs exhaustingly painful material inspired by a musically inclined structure. Heart-wrenchingly severe, the film crescendos, building the narrative in a traditional melodramatic progression. Melodrama originated as a storytelling style that combined narrative with music, and the notes or melos heightened as the drama did, hence melodrama. An association between stories about women and melodrama meant Mizoguchi’s films were seen as melodramas to many. Sansho the Bailiff seems to be carried along by both women and music, a notion heralded by Tamaki’s song and its emotional swells. Although Anju first hears the song from the slavegirl in Sansho’s compound, the siblings later hear their mother’s faint voice in the forest. As Tamaki wails for her children, she holds the last vowels in their names: “Anjuuuu… Zushioooo.” These crushing notes build as the story progresses, ending when Zushio eventually finds his mother, now muttering her song, blind and unable to recognize the last living member of her immediate family. Aside from their incomplete reunion, there is no consolation for their losses, only the cold realization that people needlessly suffer. To be sure, Mizoguchi often chose to depict strong but suffering women, a theme apparent in a number of his films. Perhaps it is their ability to create, juxtaposed by their historically lesser position in the structure of Japanese social and familial history, which creates for Mizoguchi a saddening historical irony. Or perhaps Mizoguchi’s troubled home life had an effect on his women characters. His parents gave up his eldest sister, Suzu due to financial troubles; she was eventually given up for adoption, which in Japan at that time meant servitude in geishadom. Mizoguchi’s father also viciously beat his mother, causing a lingering conflict between father and son. Much later, during the filming of his two-part historical drama, The 47 Ronin (1941), his wife Cheiko, a former chorus girl whose behavior had always been erratic, was admitted into a hospital for a degenerative mental illness. Mizoguchi blamed himself for her condition, unnecessarily so (he thought he may have passed on a syphilitic brain disease, but blood tests showed he was not responsible). Nevertheless, he continued, as a man, to feel responsible for the perils of all women. After Cheiko’s death, he fell in love with actress Kinuyo Tanaka but remained too timid to ask for her hand in marriage—despite making a dozen films with her—believing that he might somehow become responsible for wounding her or for her subjectification. As a result, women in Mizoguchi’s films tend to be the sturdiest and most intuitive characters, but conclusively the most abused and punished. Japanese women still struggle for equality, but prior to the Meiji Restoration in 1868, women were “crushed” by Japanese law according to Mizoguchi scholar Tadao Sato, even though “there is, in fact, little evidence to show that people thought of it as unfair.” Japanese theorists suggest Mizoguchi was inspired by Western romanticism following Medieval lore in which Christian knights associated women with the Madonna, thus would sacrifice themselves, their god, and their mission for women. This very notion contradicts the Japanese identity conceptualized through the samurai bushido code, which suggests all else besides the samurai’s lord is secondary, the samurai’s lady included. As a result, Mizoguchi’s women, especially those in historical dramas, often suffer unimaginable emotional torment, but they survive by accepting their fate and proving the strength of the female spirit. Liberated by their more agrarian sense of fatalism, Mizoguchi’s women often die, but do so without submitting to a limited existence. 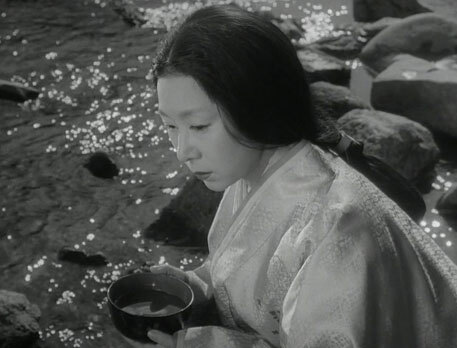 Thematically, Mizoguchi creates an association between the vulnerable and the natural, specifically linking the victims of cruelty, often women, with bodies of water: The family in Sansho the Bailiff is first separated on the Japan Sea; Anju commits suicide by entering a calm pond; Tamaki lives in a hut on the shore, calling out to her children on the sea breeze. Water becomes the metaphor for channeling thought through time and space, for life and death, for Zushio becoming a man like his father, and for the passage of all things. The bodies of water are natural sites in the film, but also vast celestial bodies that consume and need to be consumed. These ideas are symbols of ancient Buddhist storytelling, containing a faith in ever-changing fluidity and elemental transcendence that occurs in both human life and Nature. Every passage of Mizoguchi’s beautifully shot fable addresses the ongoing life of the natural world in relation to the brief moment of human existence—the convergence and destruction of humanity in Nature. Shot on location in Kyoto and at Kashikojima Island, Sansho the Bailiff establishes a balance between landscape and the characters in it, as though memories are one with any given setting. No matter how cruel the twist of fate, people are consumed in the natural world. Consider the scene where Anju walks into the pond. At once peaceful and horrifying, we watch as she steps further and further in, sacrificing herself out of compassion for Zushio and preparedness for what comes next. She seems to disappear into the water between cuts, blending with her environment like a stream returning to its ocean, almost melting into the pond as opposed to being swallowed by it. And we do not regret her actions, though tragic, since she returns to Nature. Though she is corporeally defeated, her spirit is restored to a more absolute state. 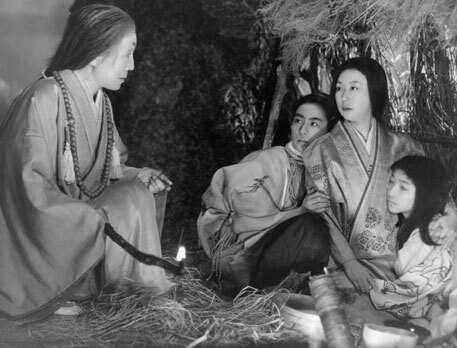 Despite such metaphysical notions, Mizoguchi’s films rarely feel fantastical, even though he has explored ghosts (in Ugetsu) in connection to the fate of women (The Life of Oharu). Mizoguchi once said, “I portray the extraordinary in a realistic way.” Sansho the Bailiff remains grounded by the director’s interest in tradition and history, but with an air of otherworldliness throughout. His melodrama becomes a spiritualistic yet natural experience, with an intrinsic yet intangible connection between its dispersed characters, made by way of storytelling, song, and Nature. Mizoguchi frames these considerations, emotions, and themes about people longing to connect in precise and symbolic ways—conveyed through a painterly attention to visual style. Though he passes down a literary narrative in Sansho the Bailiff, one written several times in Japan’s literary history, he realizes the importance of images; indeed, hundreds of years’ worth of Japanese painting is referenced by Mizoguchi’s camera. He imitates a fourteenth-century Japanese monochrome painting style, called suiboku-ga, by using an extended depth of field. Characters often appear at a distance, like figures in a landscape painting. 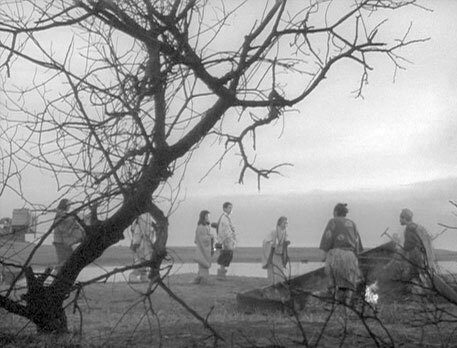 Cinematographer Kazuo Miyagawa’s fills his frame with compositional detail, as several scenes appear ornamented by the presence of diagonal, leafless trees. Each composition seems to derive from landscape paintings with minor figures in the frame, leaving the viewer able to look on from a distance and see the bigger picture, the connections between people, and, in the end, consider a panoramic view of human experience outside of impermanent borders or political situations. Sansho the Bailiff arrived in the midst of several Japanese international films that sought to identify a universal humanism. In the preceding years, Kurosawa released Rashomon (1950) and Ikiru (1952), while Kobayashi unveiled his nine-hour triptych The Human Condition (1959-1961). Although Mizoguchi’s work was championed at the Venice Film Festival where it won the Golden Lion, American and other international markets ignored it. French critics in the Cahiers du cinéma, notably André Bazin, celebrated Mizoguchi’s approach for its lack of distracting surface effects, describing it as a “royal” or pristine cinema of uniformed thematic and aesthetic resonance. 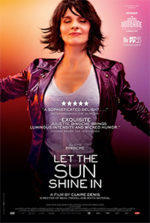 Only much later, as recent as the British Film Institute’s 2012 critics’ poll in Sight & Sound, did the film achieve any major recognition among Western audiences. Though arguably containing a message specifically catered to postwar Japan, the timelessness of Sansho the Bailiff’s tragic tale has carried its humanist message beyond Japan’s borders, so that we might recognize the bleak nature of human slavery, discrimination, and suffering in our own cultures—and perhaps identify these common qualities in all people. In Mizoguchi’s films, memories and stories last longer than human experience, defeat time and space, and pummel the idea of their limited consequence over their ever-changing flow of the world. Storytelling represents humankind’s most profound victory over such hindrances. The story of “Sansho the Bailiff,” along with other legends such as “The Tale of the Loyal Forty-Seven Ronin,” are common narratives in Japanese culture, as they contain a timelessness, unlike modern-specific gendageki. Mizoguchi’s jidaigeki films contain a customary sense of eternal meaning, which itself matures over time like a memory, becoming individualized, idealized, and eventually that which we hold dearest about his films. 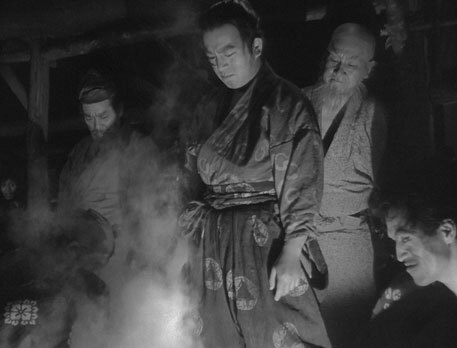 Sansho the Bailiff leaves a prolonged feeling of sadness, perhaps because Mizoguchi’s film ponders more than just drama but an element relative to human beings and Nature. Stories such as this, which are passed down in the oral tradition into more tangible media, meander through time like a river. We get the sense that Mizoguchi’s film does not matter in the grand scheme, that someone will tell “Sansho the Bailiff” a hundred years from now without benefit of the cinema. This, in turn, makes the film all the more important; such an orphic cinematic message beyond the importance of film itself is rarely presented in motion pictures.